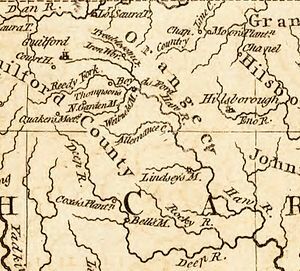 The Battle of Lindley’s Mill (also known as the Battle of Cane Creek) took place in Orange County, North Carolina (now in Alamance County), on September 13, 1781, during the American Revolutionary War. The battle took its name from a mill that sat at the site of the battle on Cane Creek, which sat along a road connecting what was then the temporary state capital, Hillsborough, with Wilmington, North Carolina. Lindley’s Mill was located on Cane Creek, a tributary of the Haw River. Upon the Loyalist approach, the Patriot militia sprung their trap, surprising Fanning and his men. 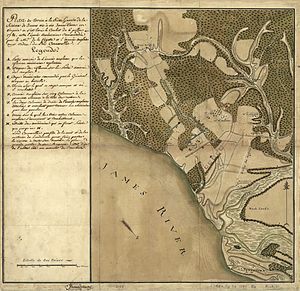 The loyalist forces were forced to ford Cane Creek in order to assault the patriot positions, which were on a plateau overlooking the creek. The elderly Hector McNeill, the commander of a unit of loyal Highlanders, was cut down early in the battle, leading the vanguard of Fanning’s militia across the creek. The British failed to gain any ground against the Patriot position until Fanning and a larger company forded the creek upstream from Butler’s position, and attacked the Patriot militia from their flank. 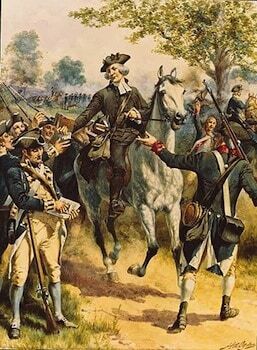 This put the militia on the defensive, and the battle persisted for four hours until eventually Butler felt compelled to order his men to retreat due to casualties. In spite of Butler’s order, a contingent of men attempted to continue holding their ground, but they were ultimately dislodged by Fanning. Between 200 and 250 men were killed or wounded in the battle, with the Tory force suffering due to the loss of McNeill and serious wounds received by Fanning, who was forced to hide in the woods when his column moved on. Among those wounded was Dr. John Pyle, who had earlier commanded an ill-fated regiment of loyalist militia at Pyle’s Massacre. After recovering from his wounds, Pyle helped to nurse many other wounded men, patriots and loyalists alike, back to health, for which service Governor Alexander Martin would later pardon Pyle’s loyalist activities. The governor was not rescued by the patriots, and was successfully imprisoned on James Island. The battle effectively closed the war in North Carolina one month before Lord Cornwallis surrendered the British Army at Yorktown, but did not serve to dampen patriot sentiments in the State. Indeed, historians have commented that the capture of Governor Burke and the defeat of the patriots only encouraged a growth in patriot sentiment.